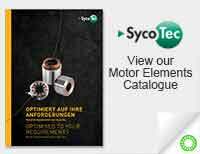 Sycotec have released their newest high-frequency motor spindles, the 4033 ER8 and 4036 DC T. With less weight and more compact dimensions, their much smaller space requirement makes them the ideal solution when strong power is needed in small installation spaces. 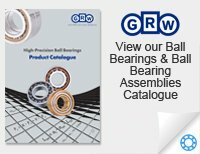 Find more information on these new motor spindles here. 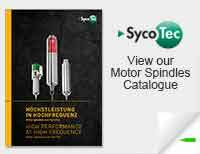 Sycotec this month unveiled their new website and catalogue, with a new ‘information blog’ on the way which aims to offer lots of additional information beyond purely technical documentation through curating a constantly growing knowledge forum. Click here to see the new Sycotec site.